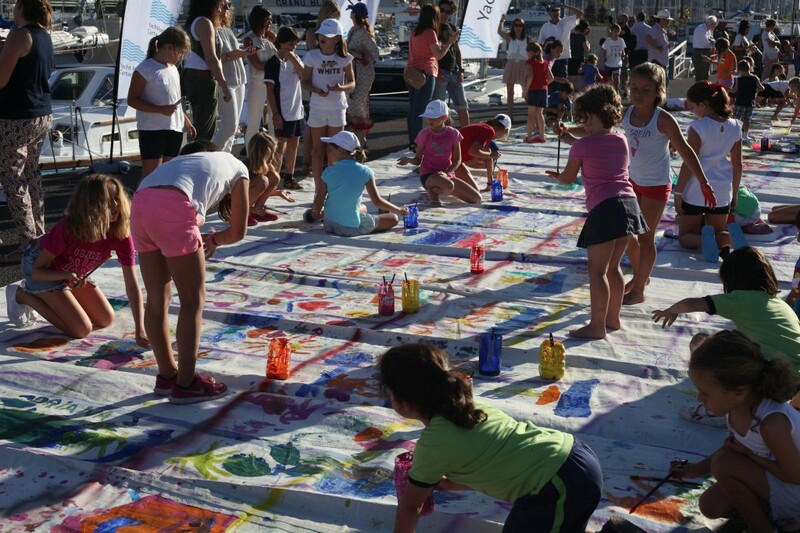 Sail a Future is a social and ecological project that together with Project For Life joins children of the Mediterranean Sea with a common purpose, make them aware of the need to “take care of the sea” and “help their mediterranean brothers with fewer resources “. 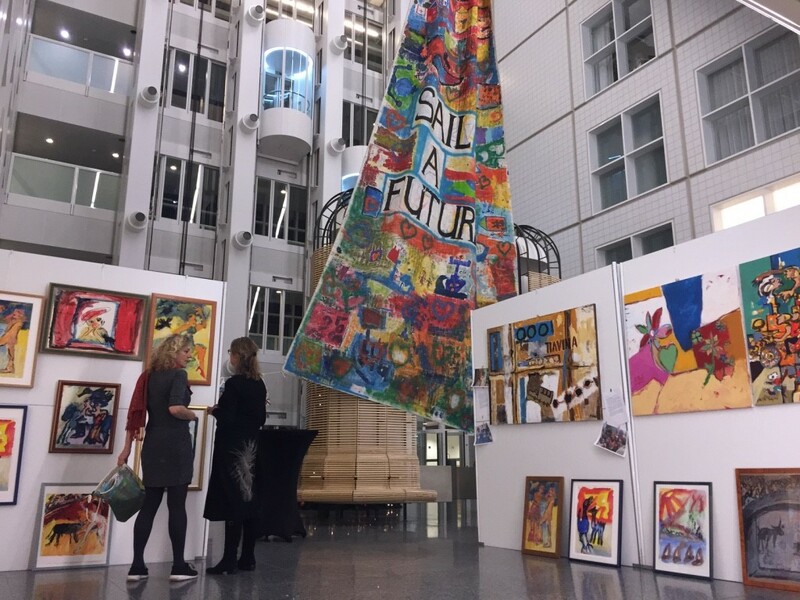 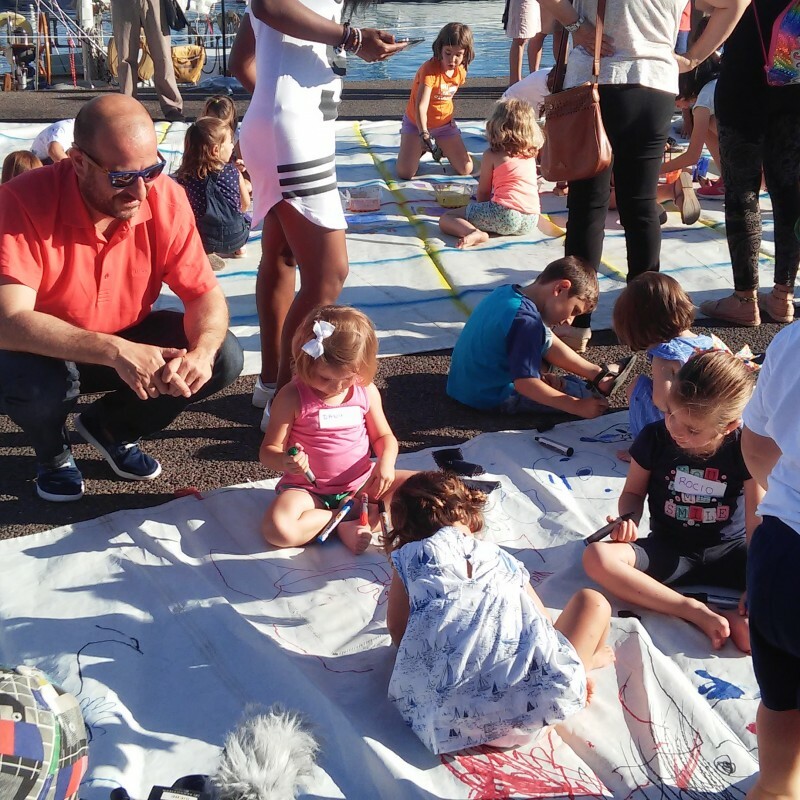 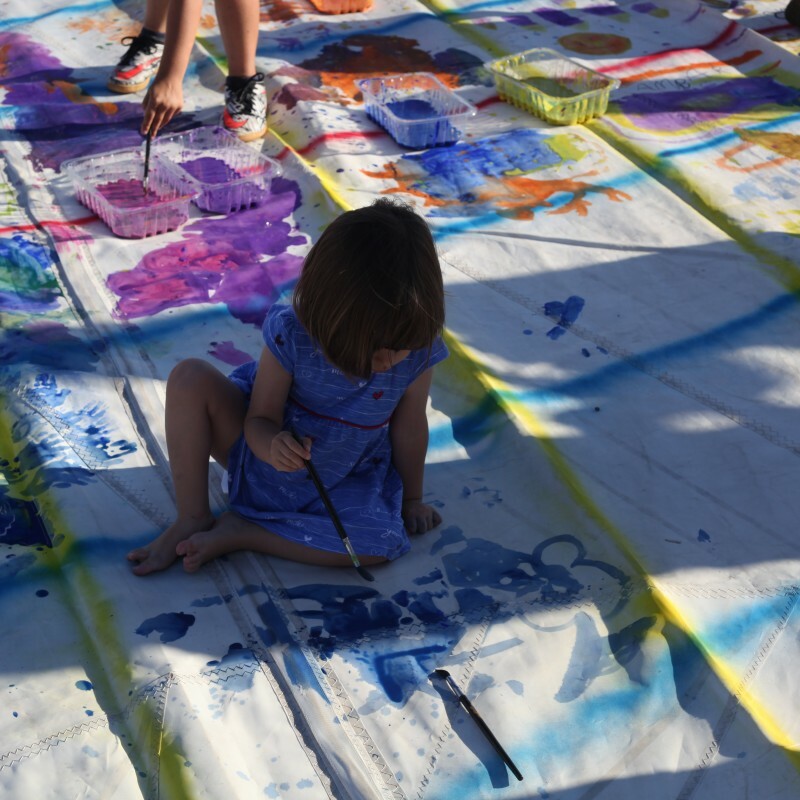 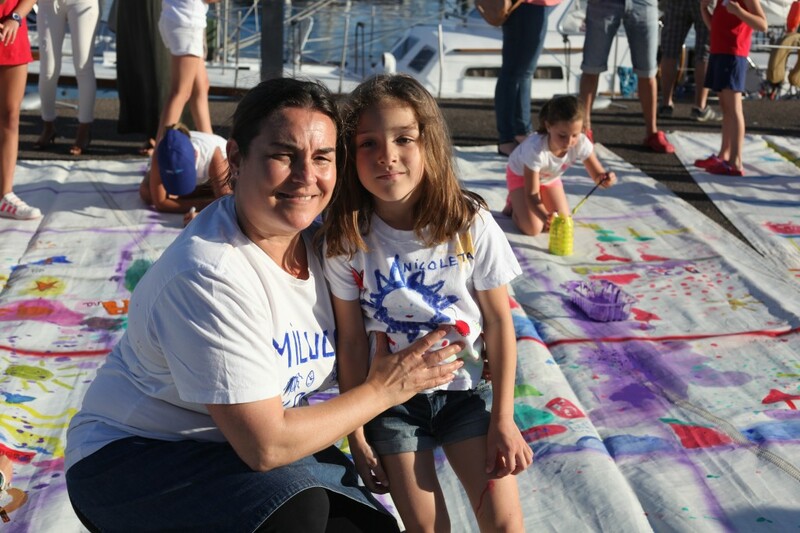 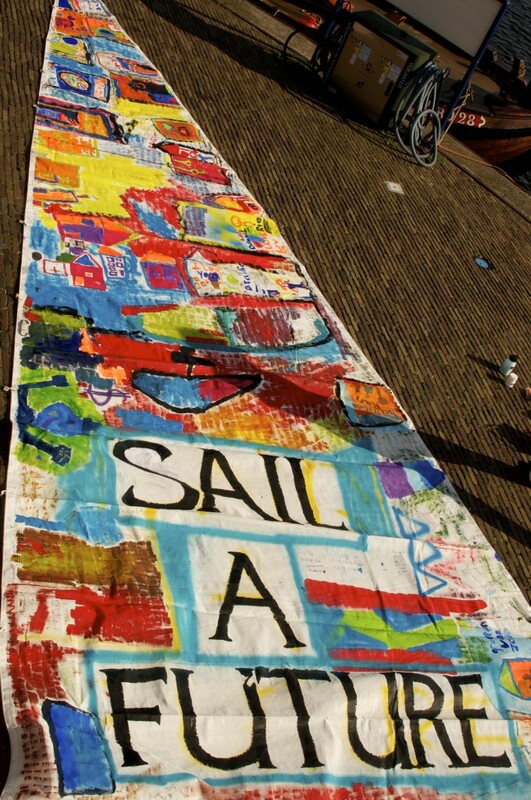 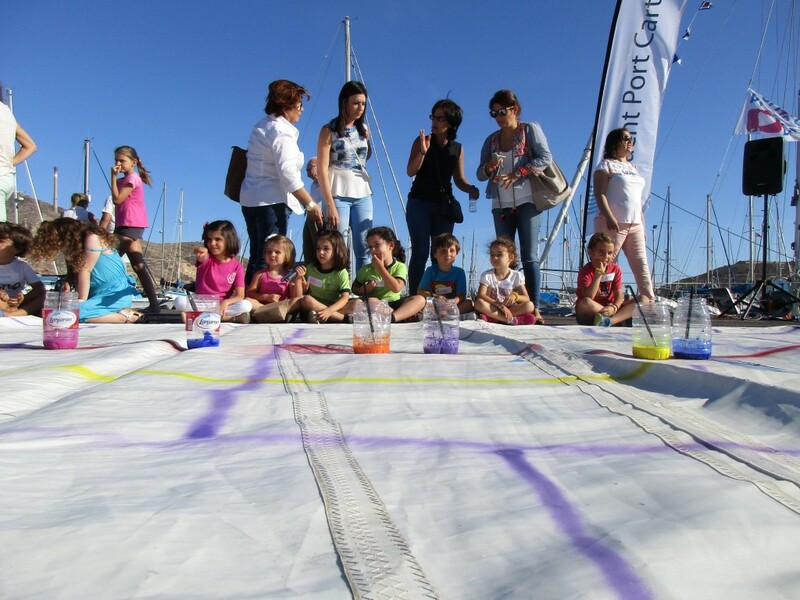 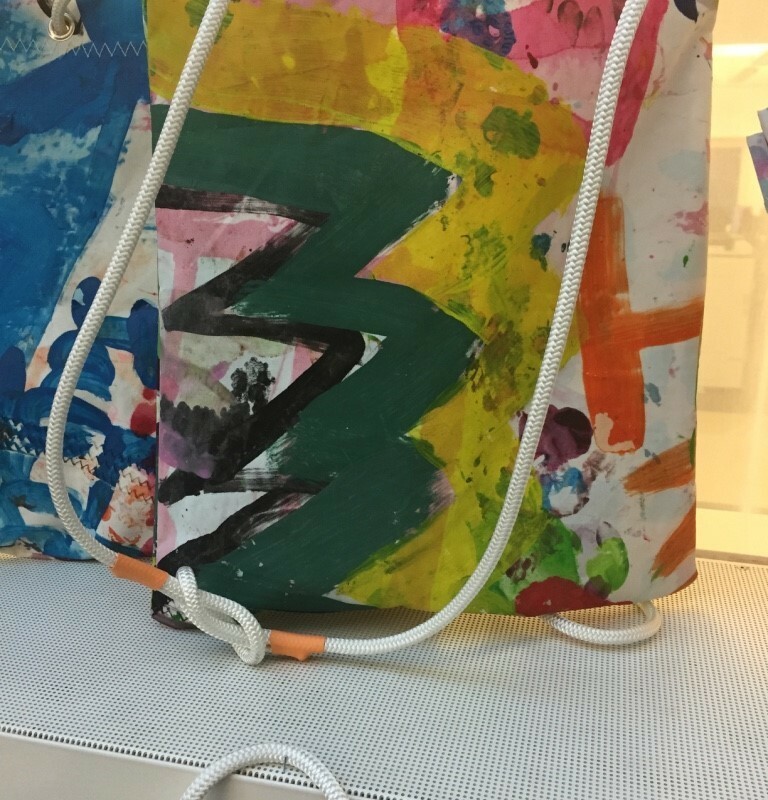 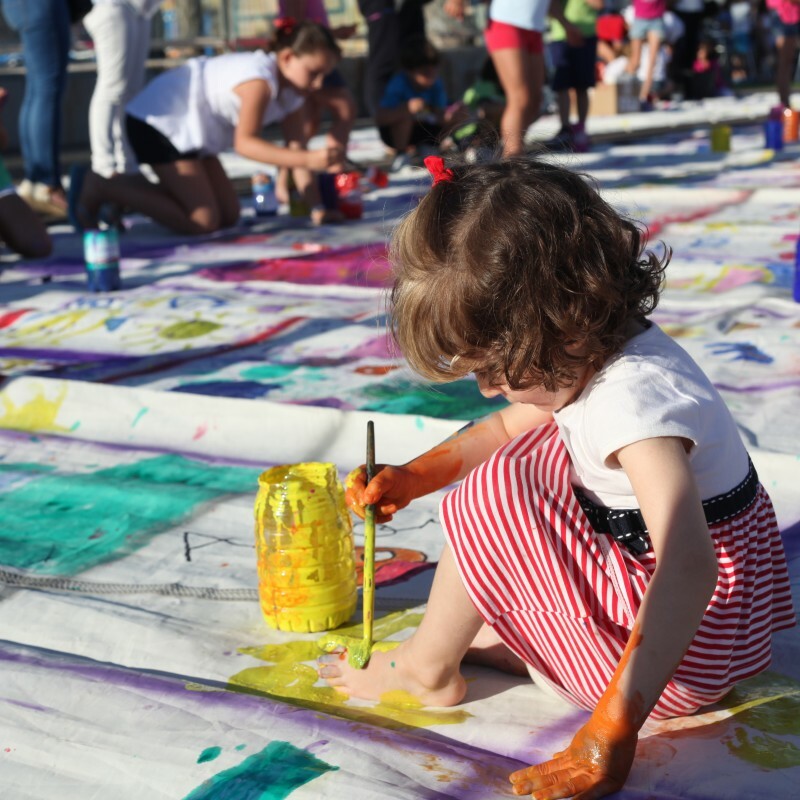 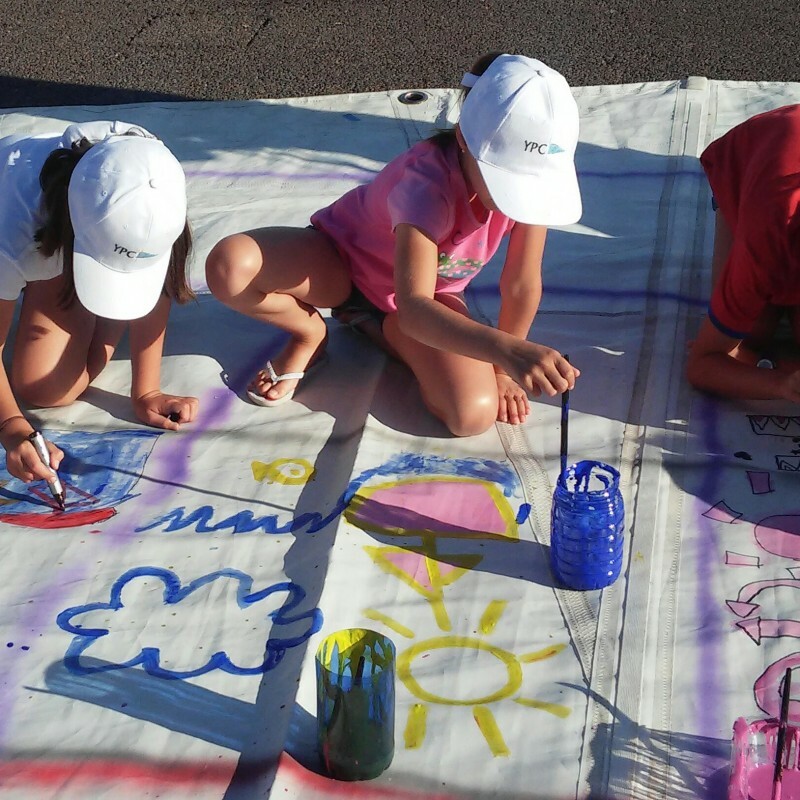 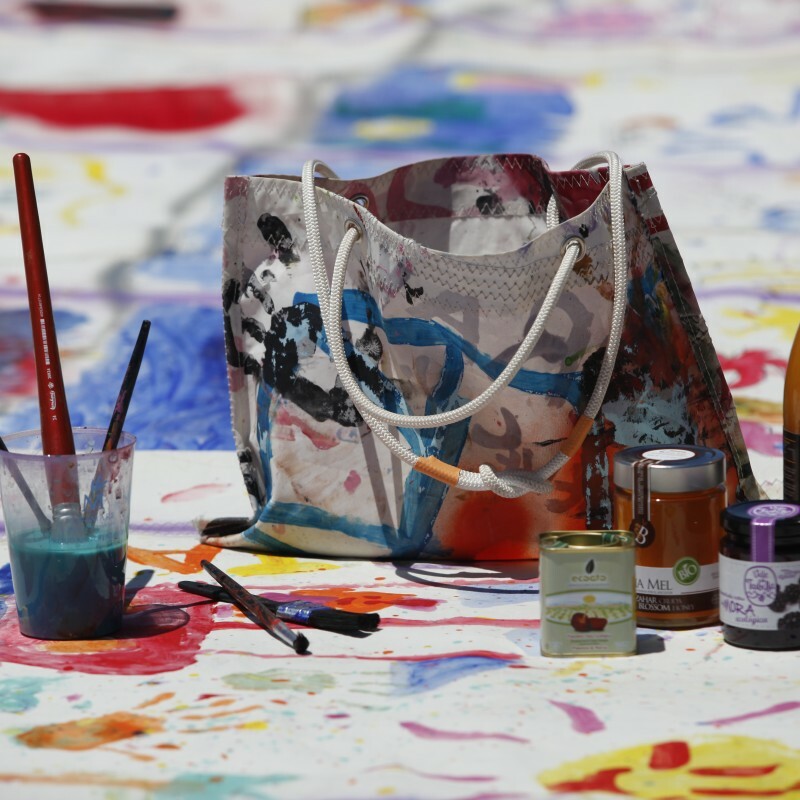 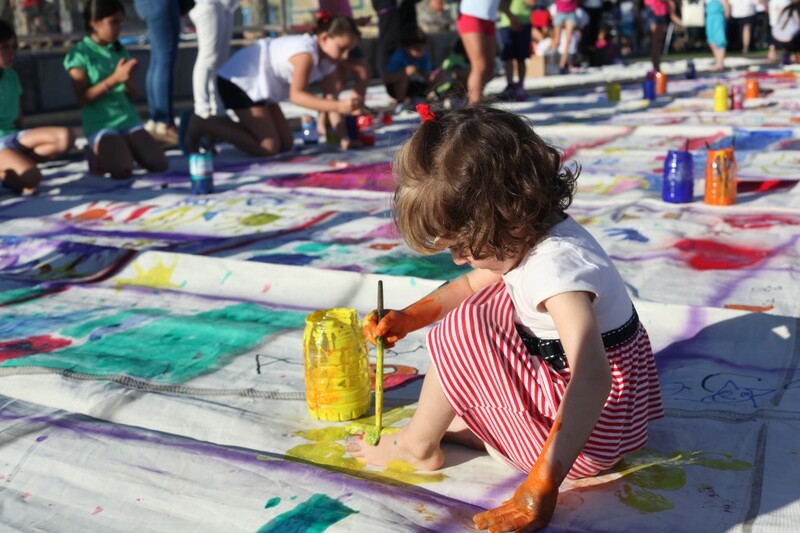 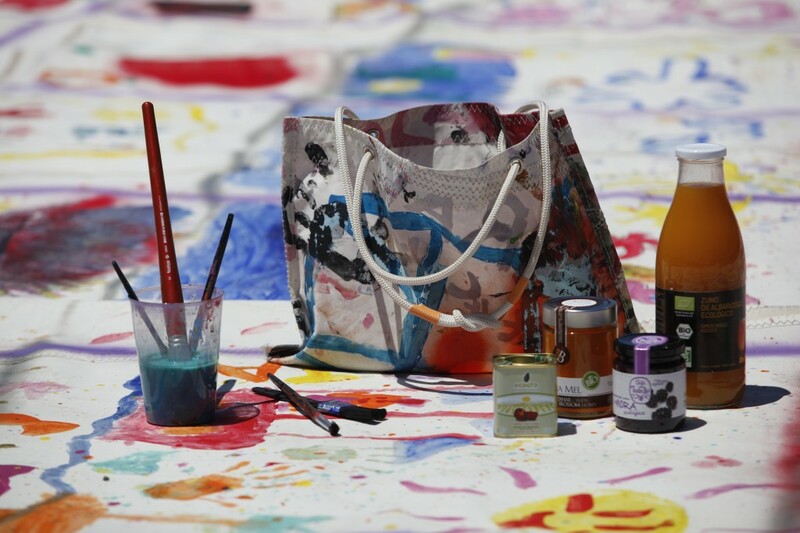 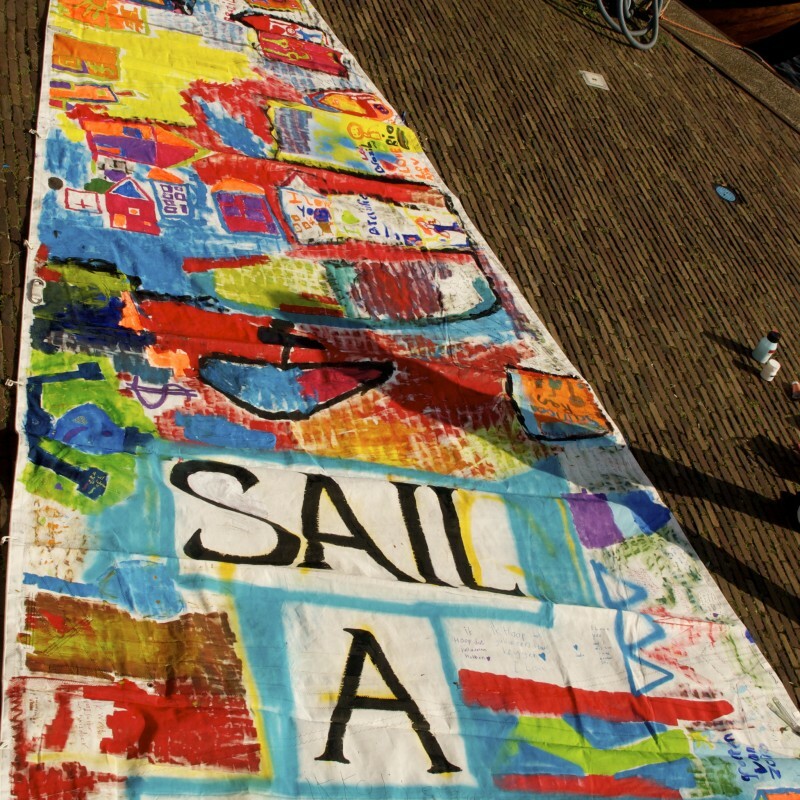 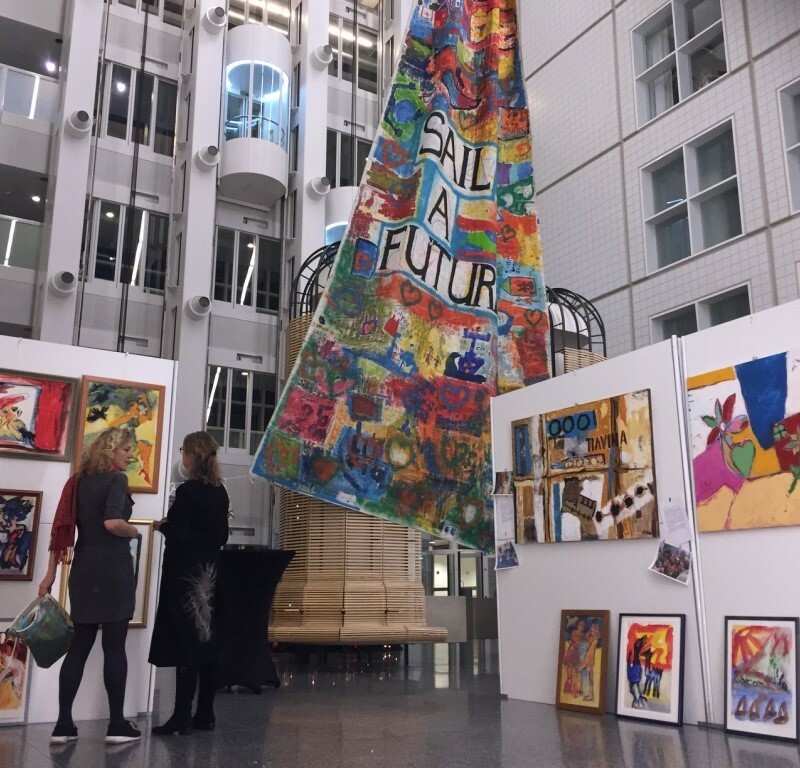 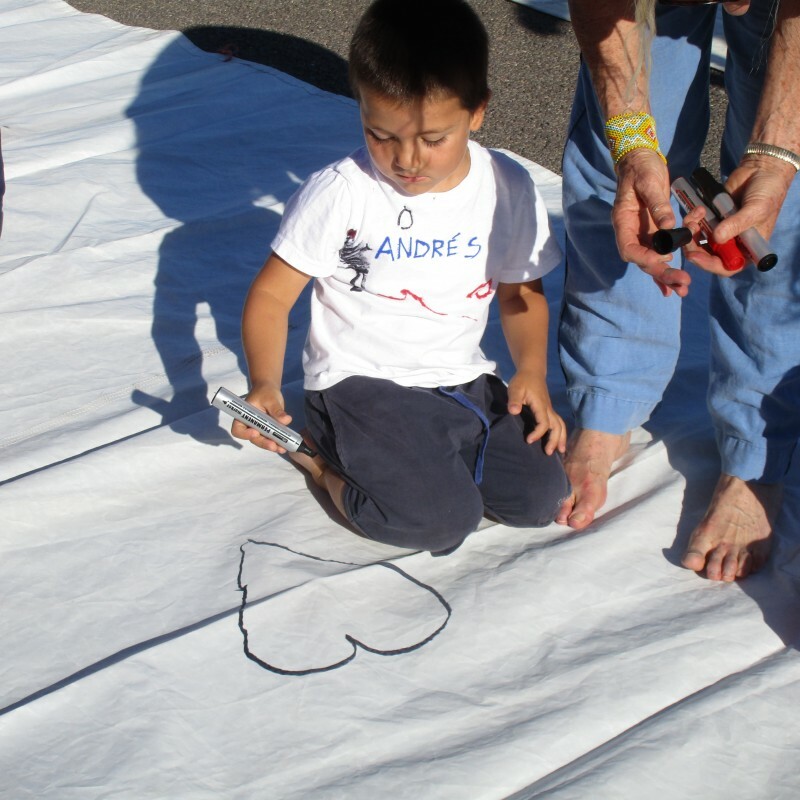 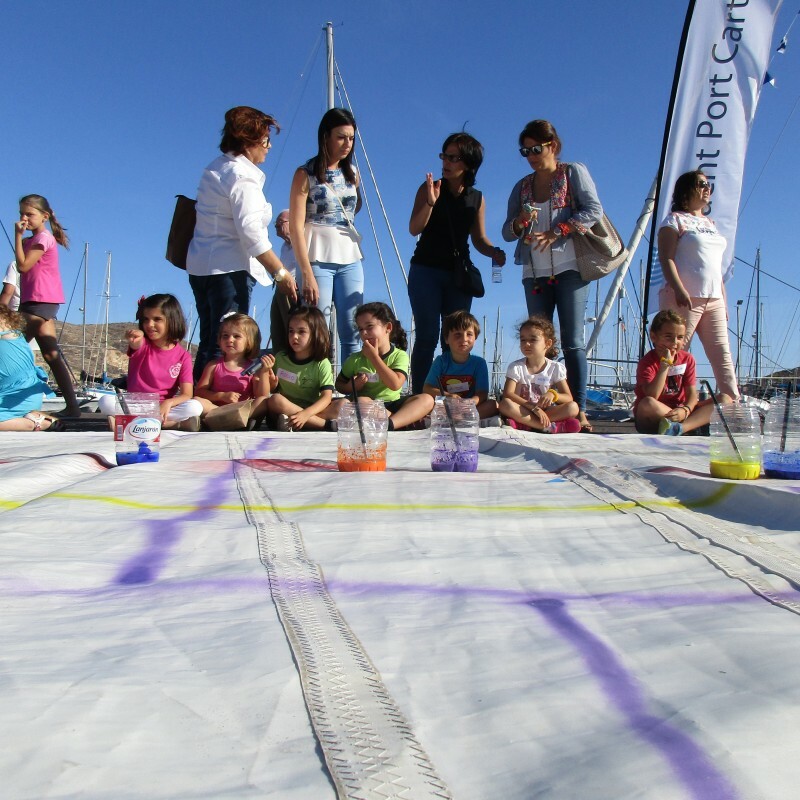 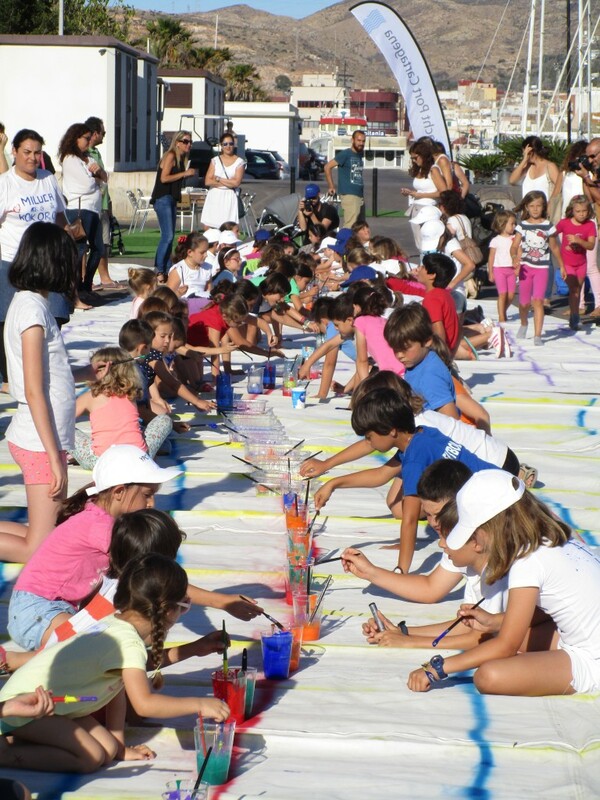 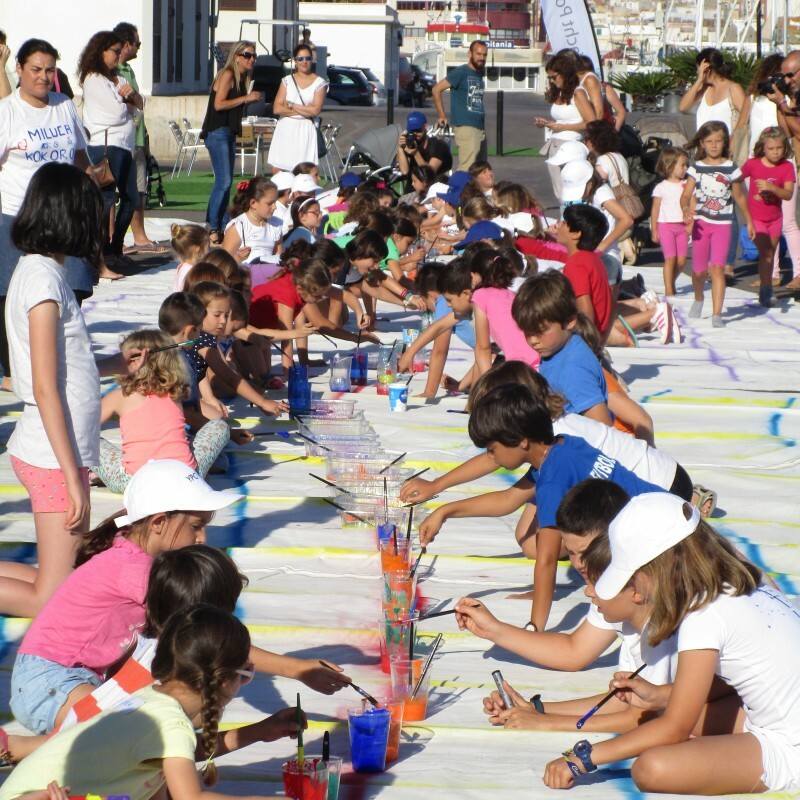 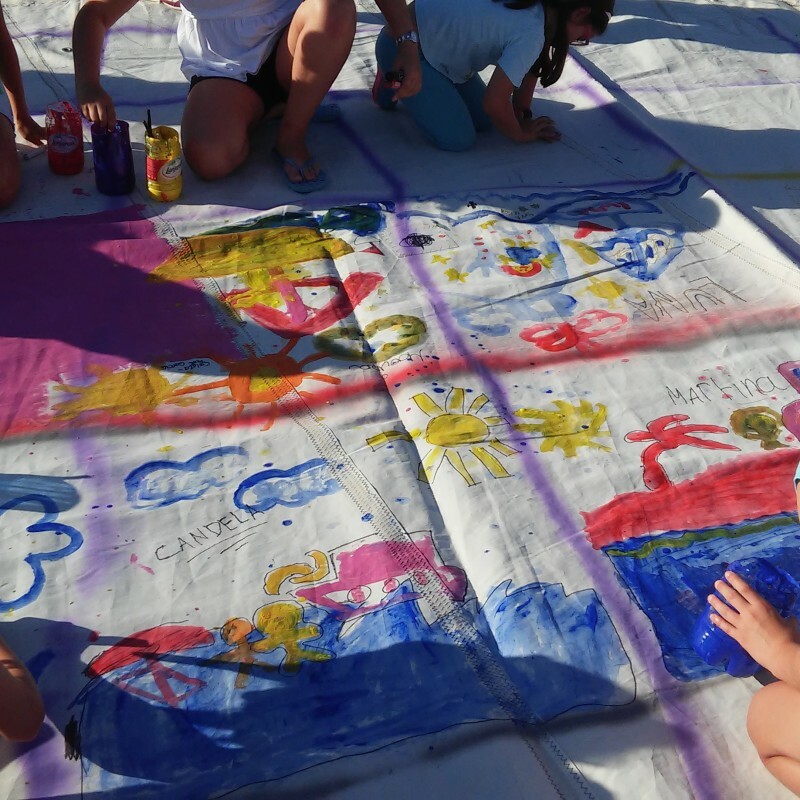 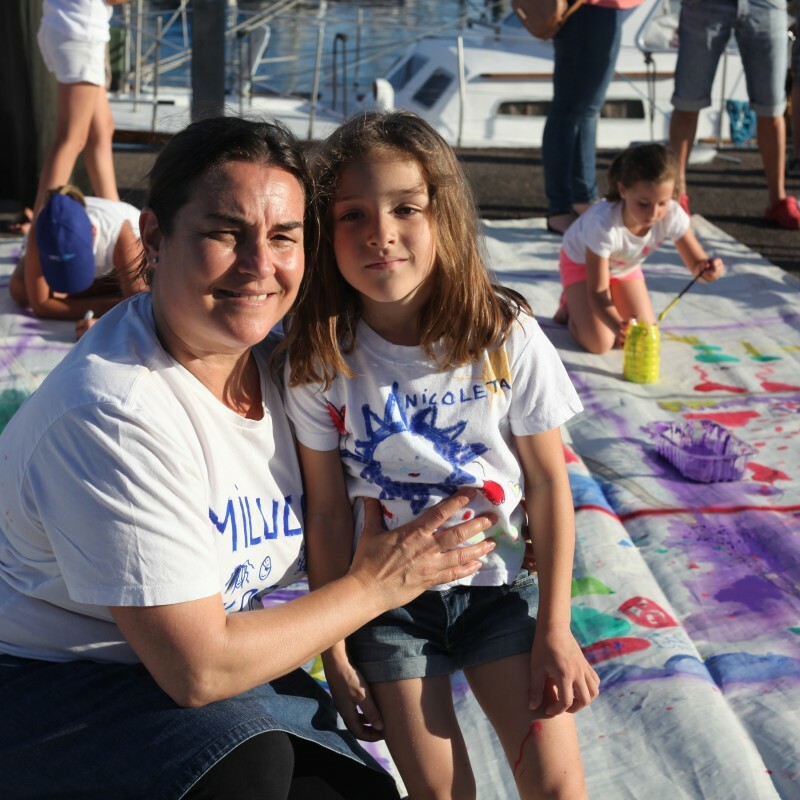 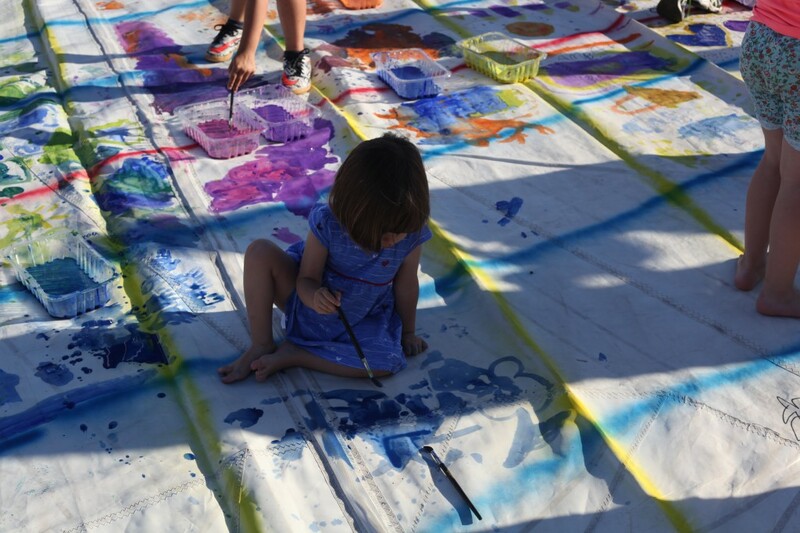 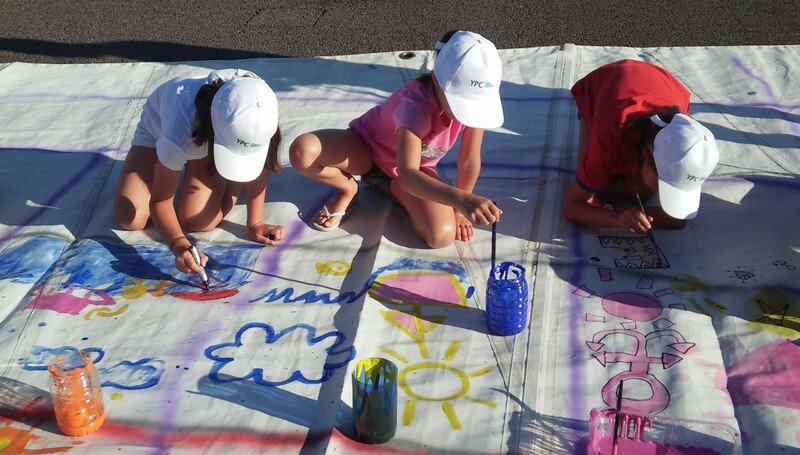 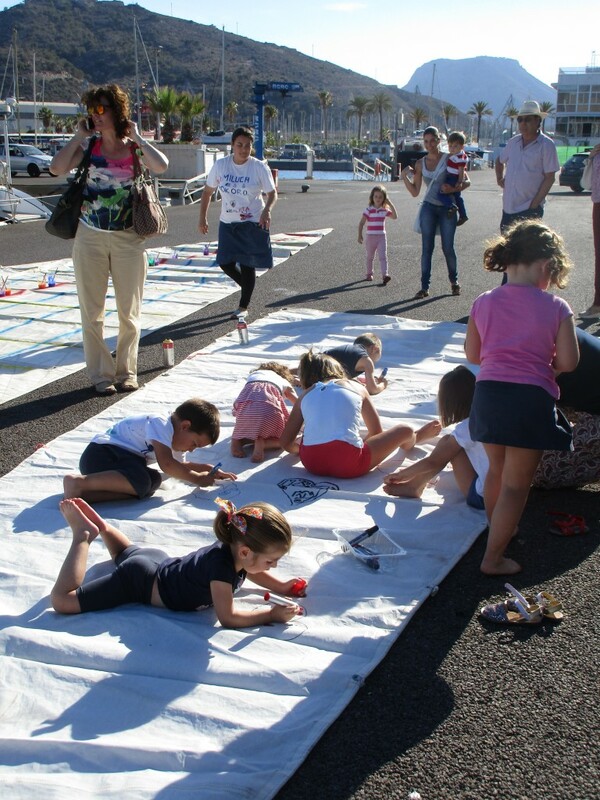 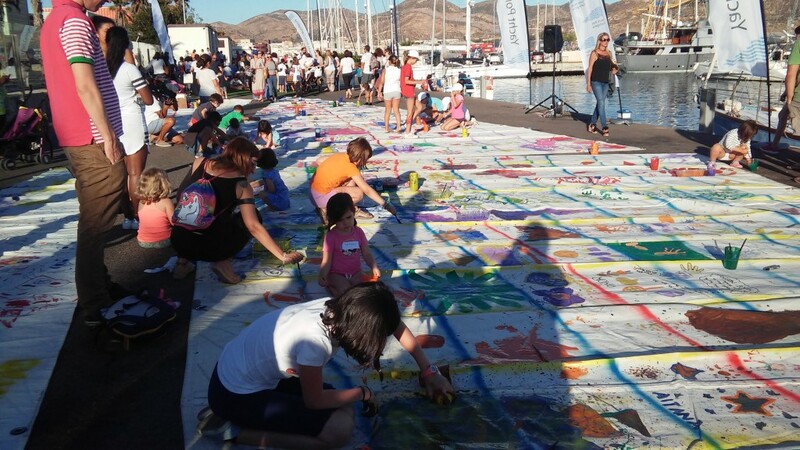 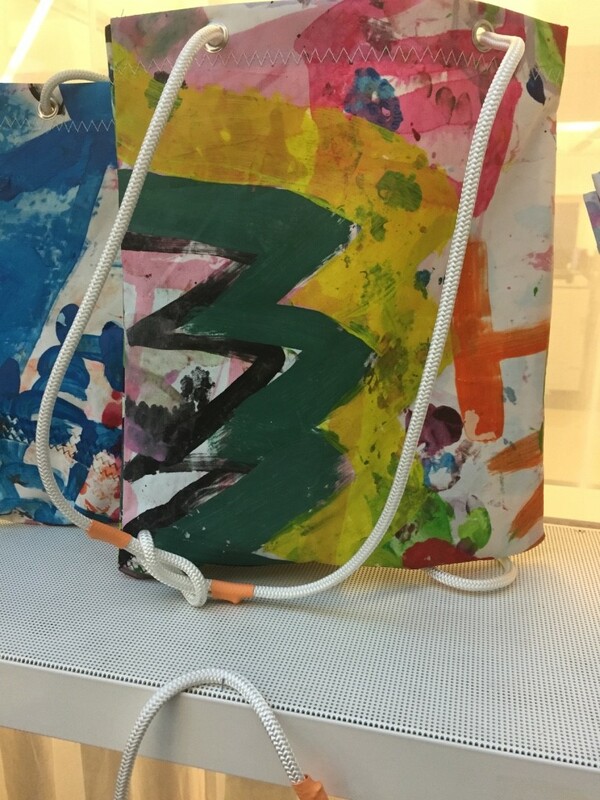 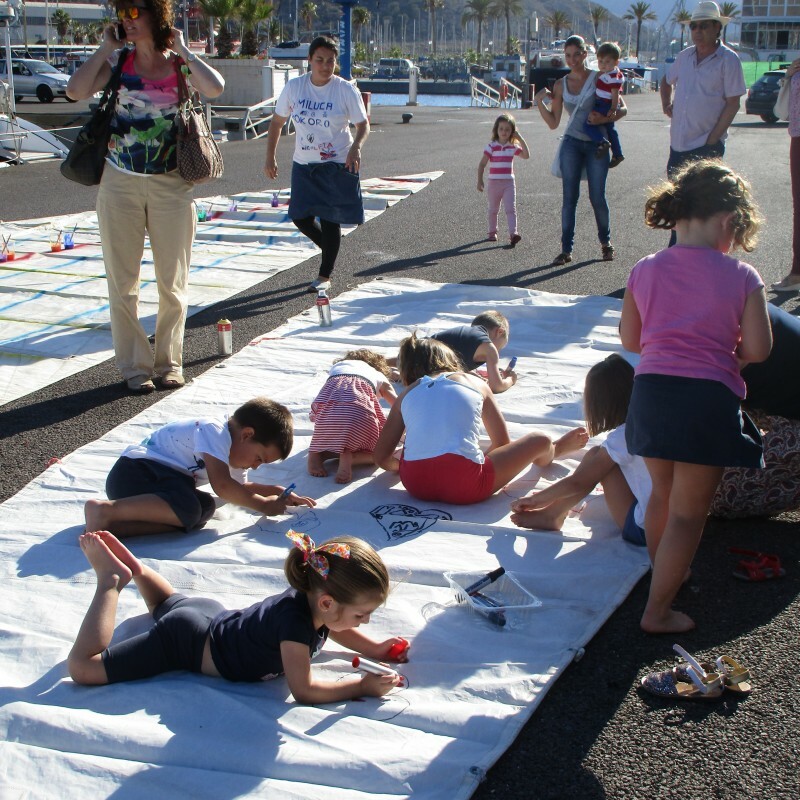 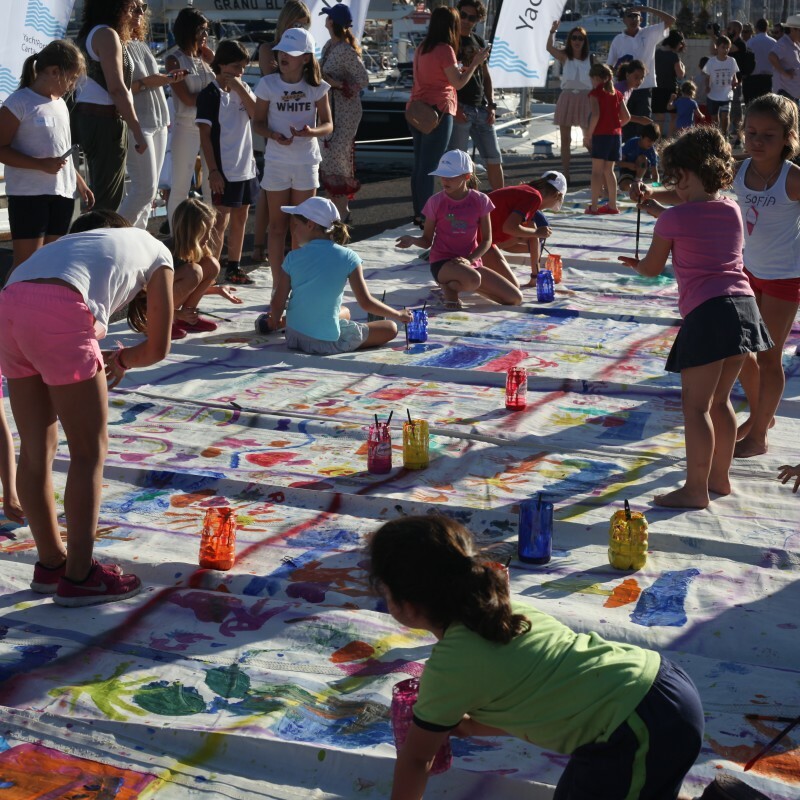 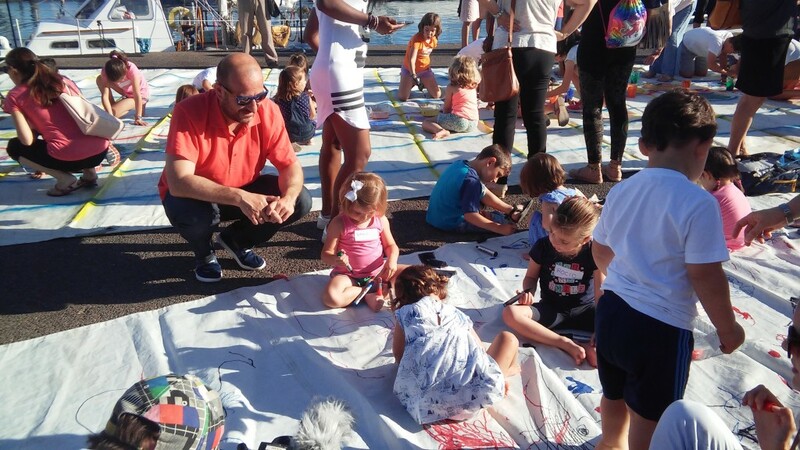 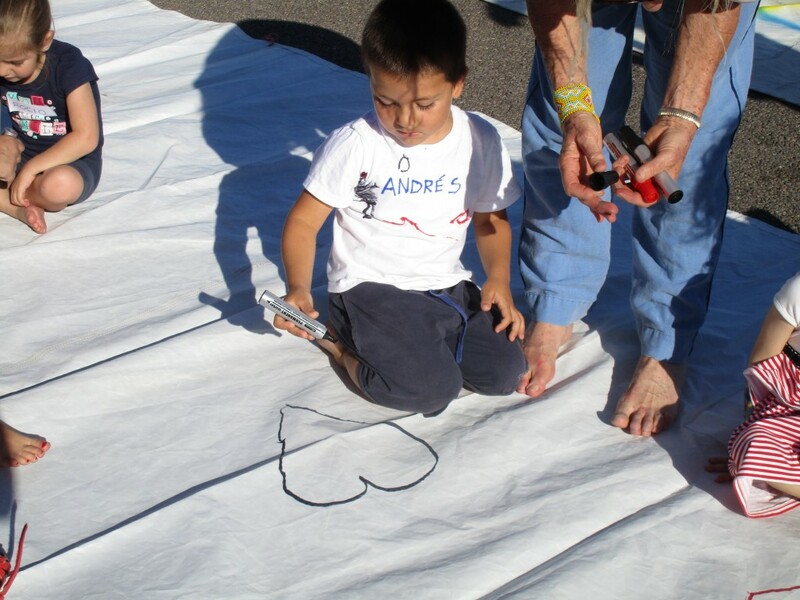 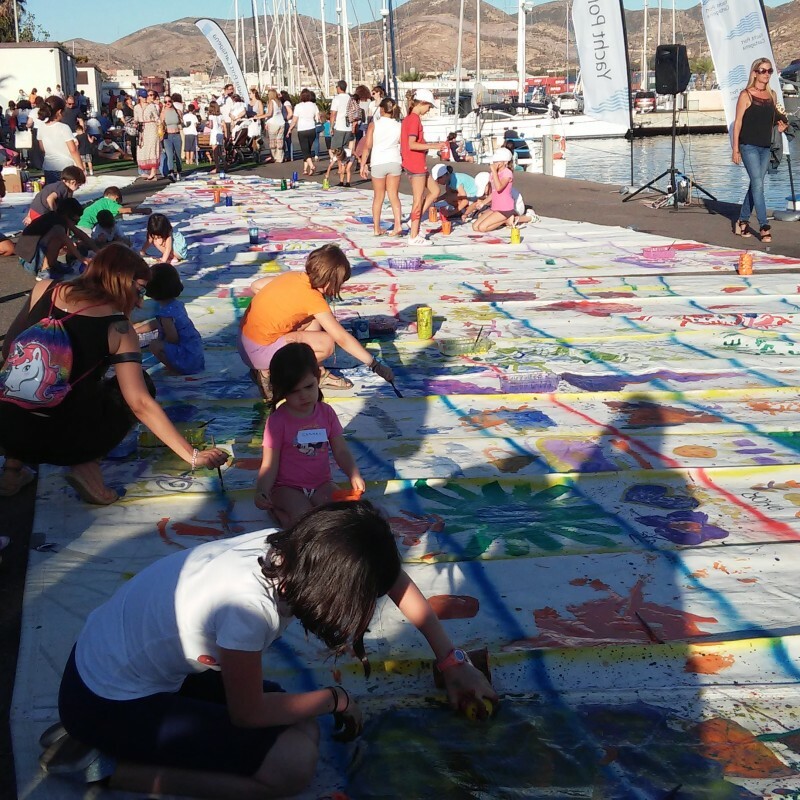 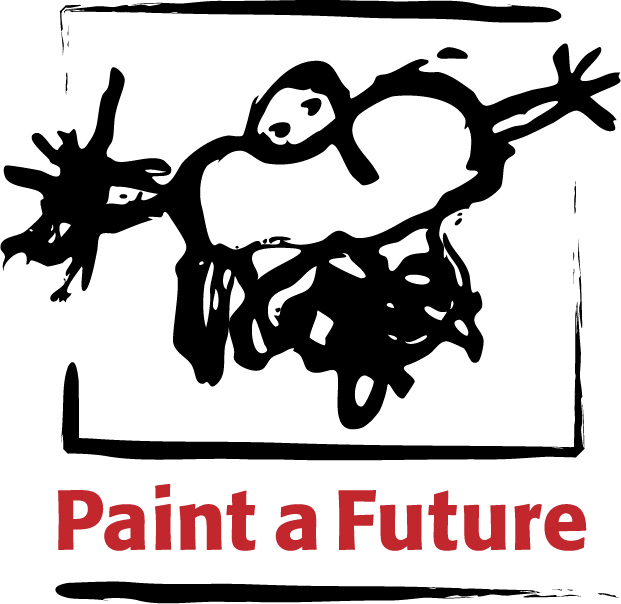 To do this, Sail to Future- Project For Life sails aboard the sailboat Luna to several Mediterranean ports where children paint on a sail their dreams and good wishes for a better world. 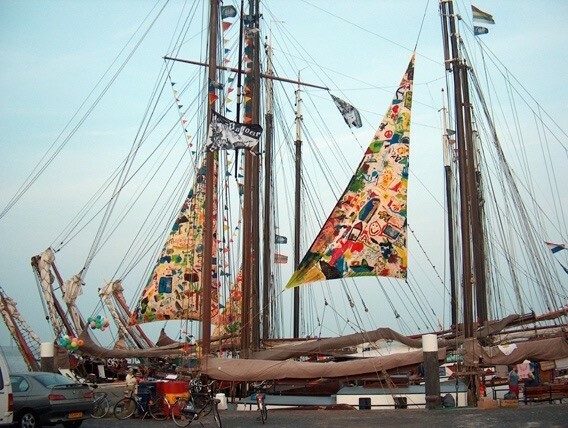 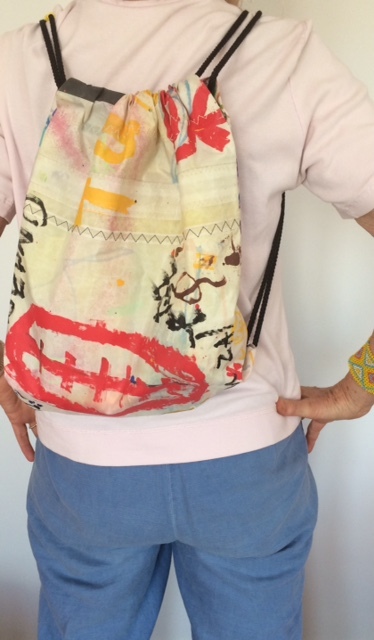 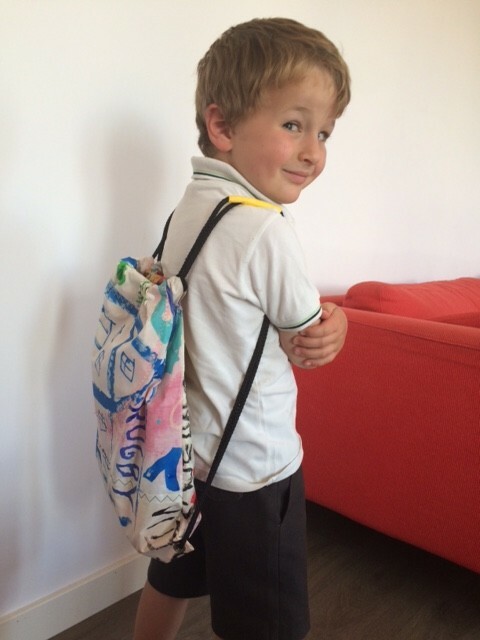 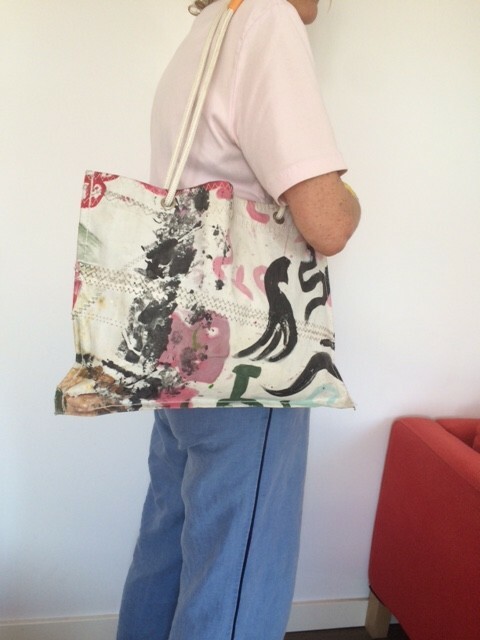 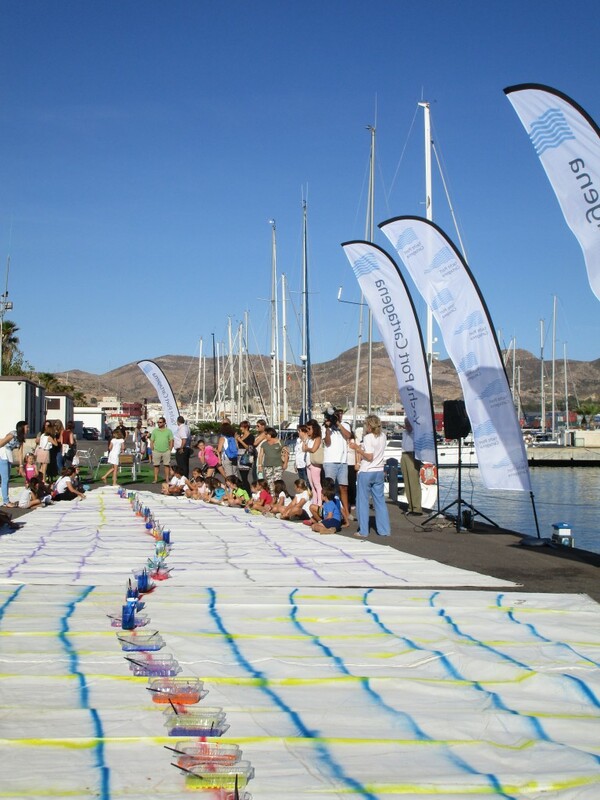 These sails will become beautiful and practical bags to be offered as Christmas baskets with organic products. 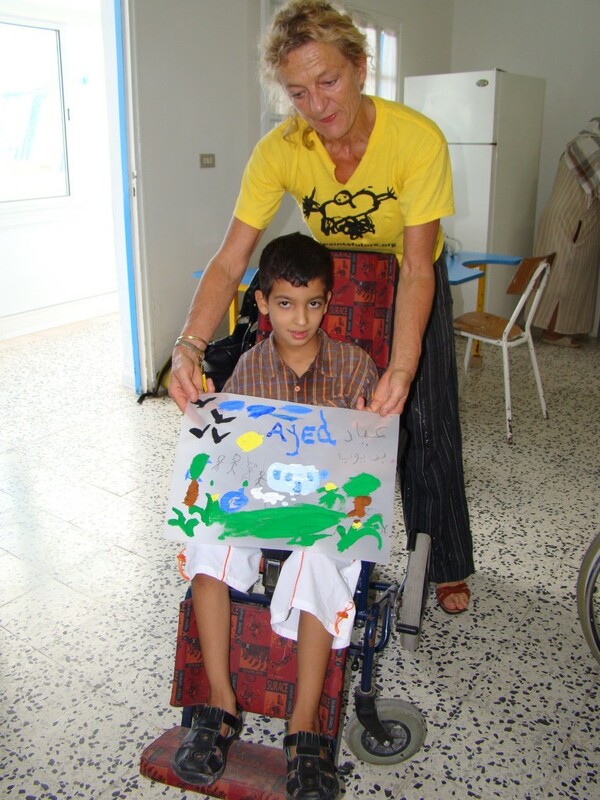 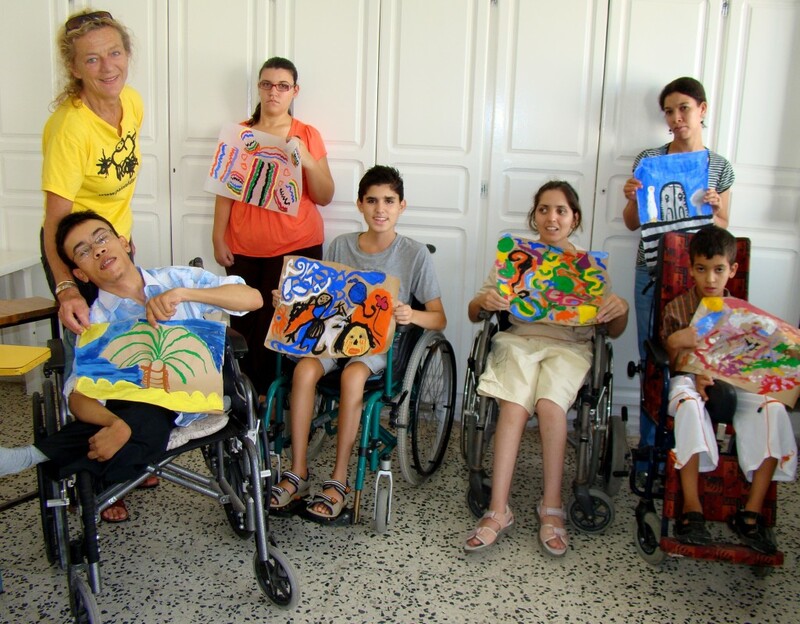 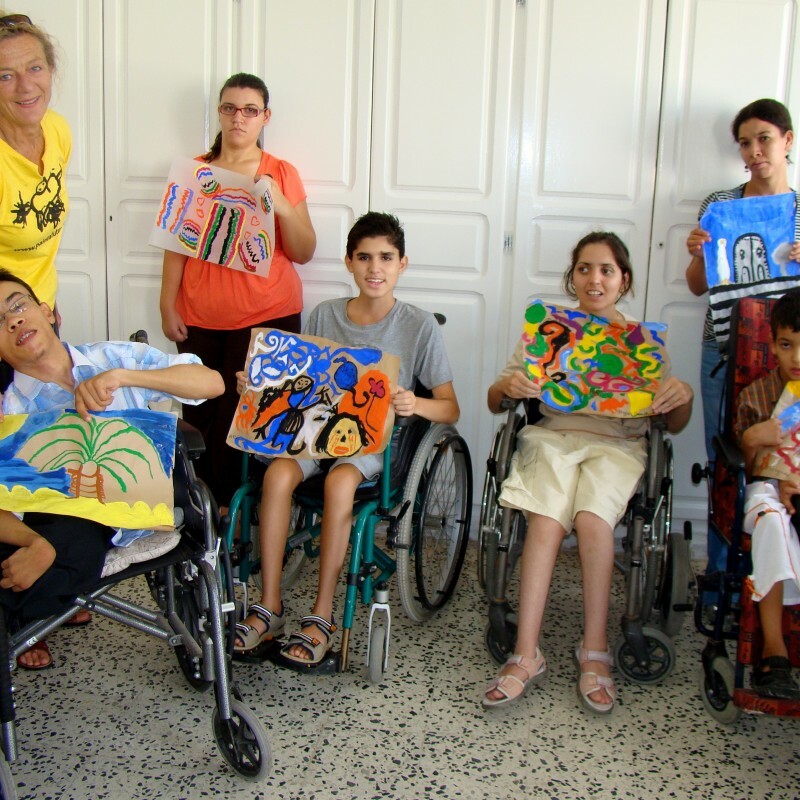 The money collected will be used to realize needs such as wheelchairs, prostheses and other adapted material for the disabled children center AGIM La Marsa (L’Association Generale des Insuffisants Moterurs) in the city of Carthage – Tunisia. 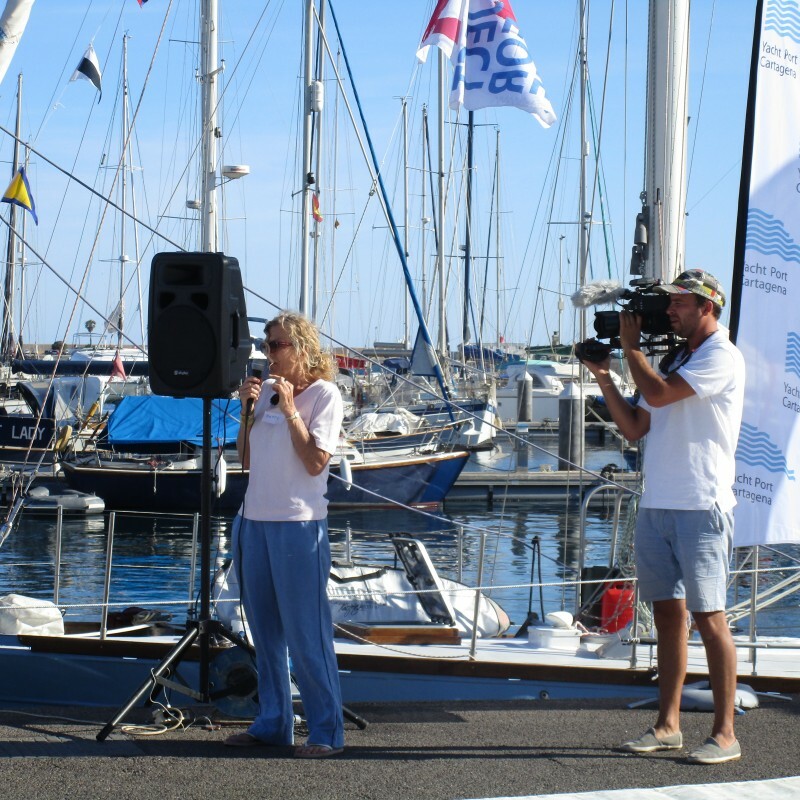 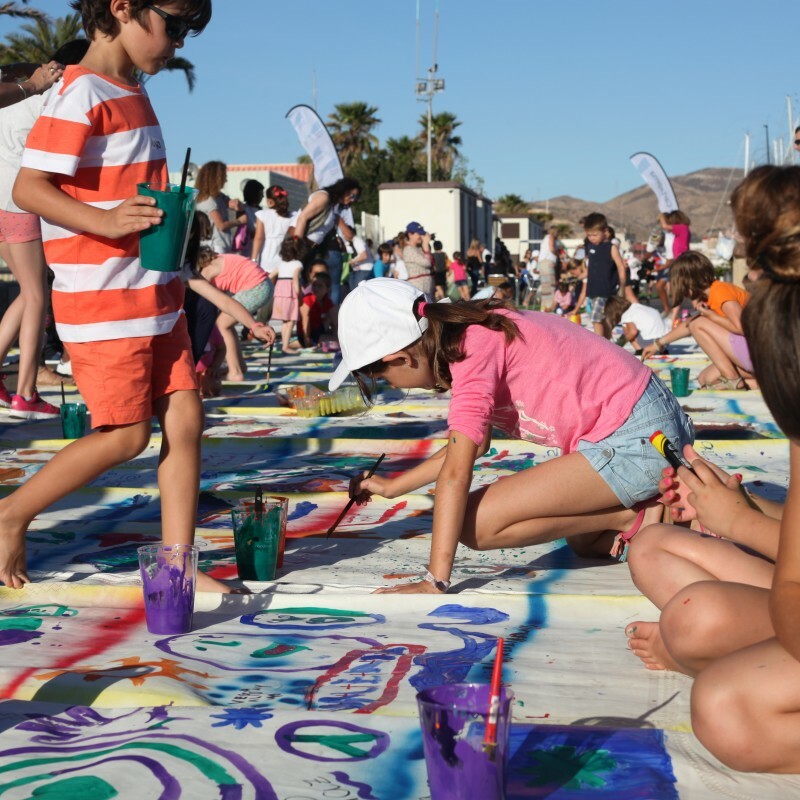 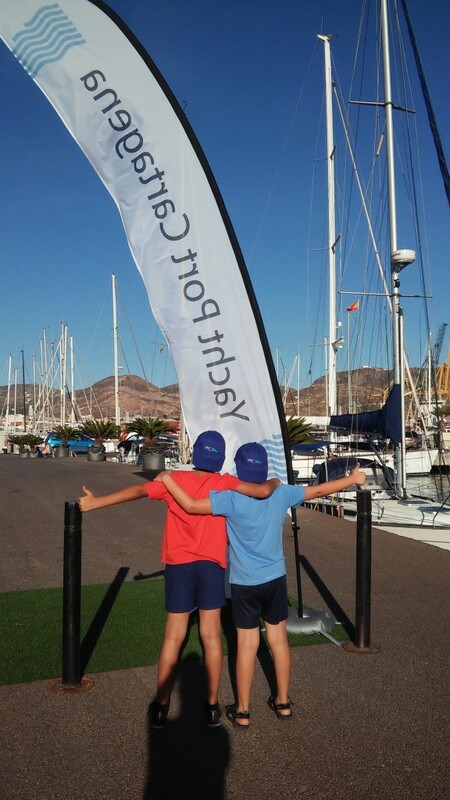 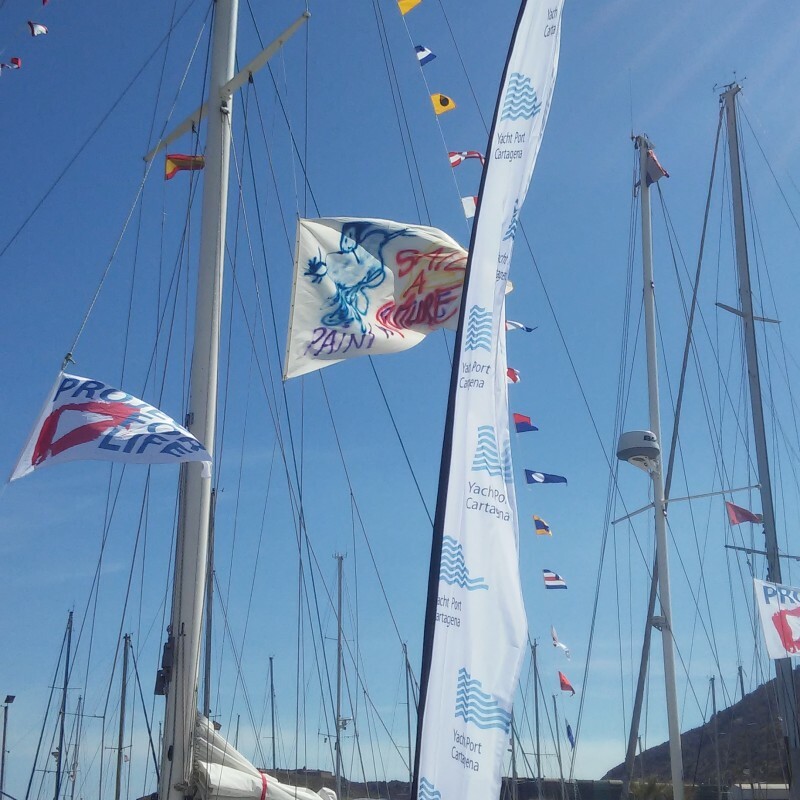 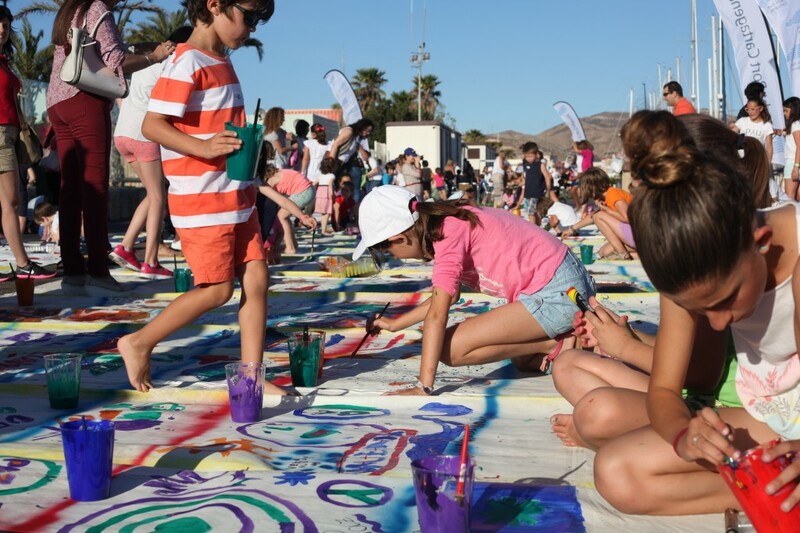 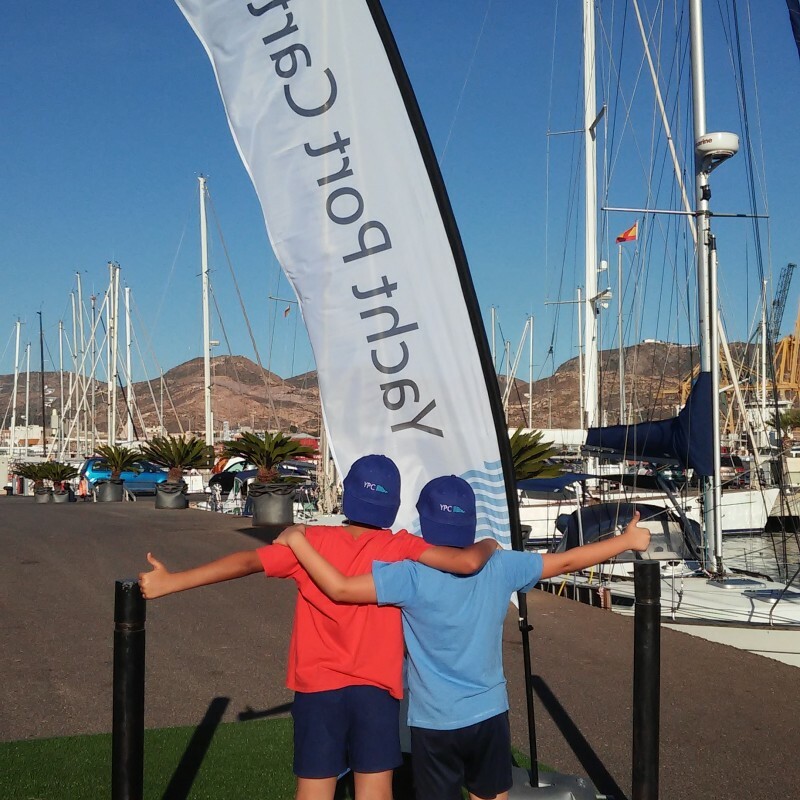 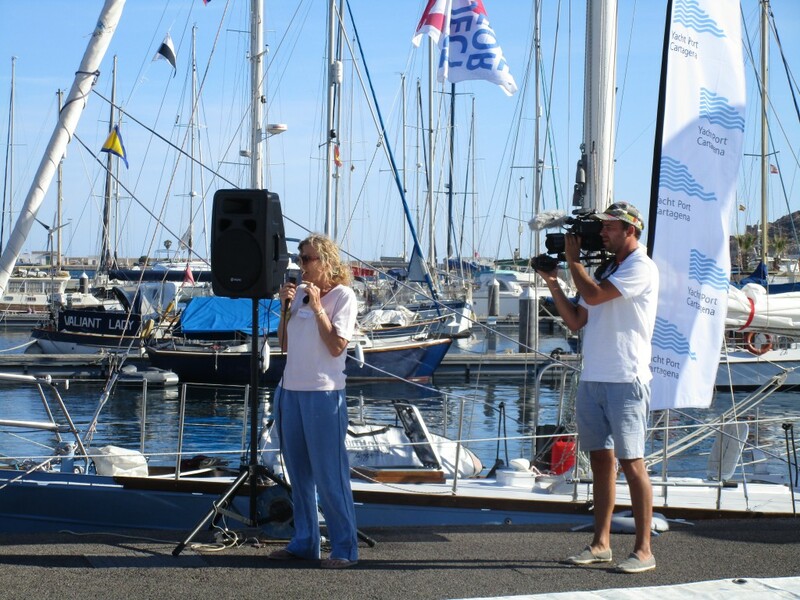 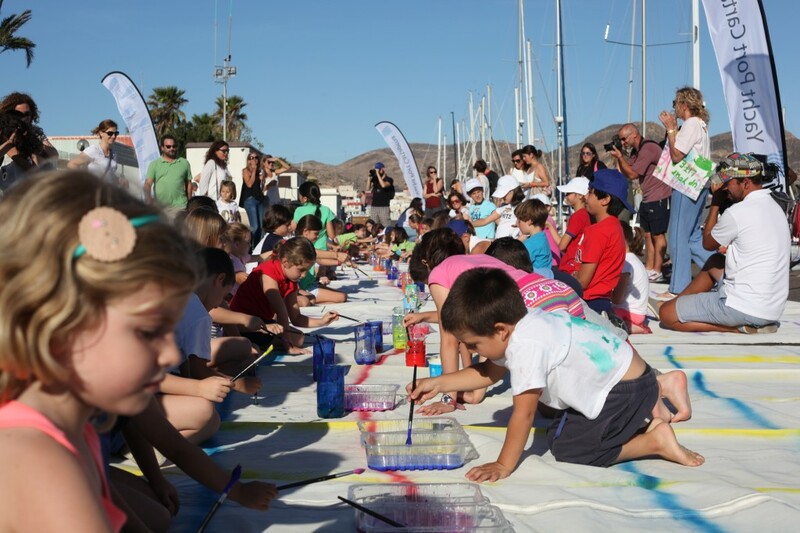 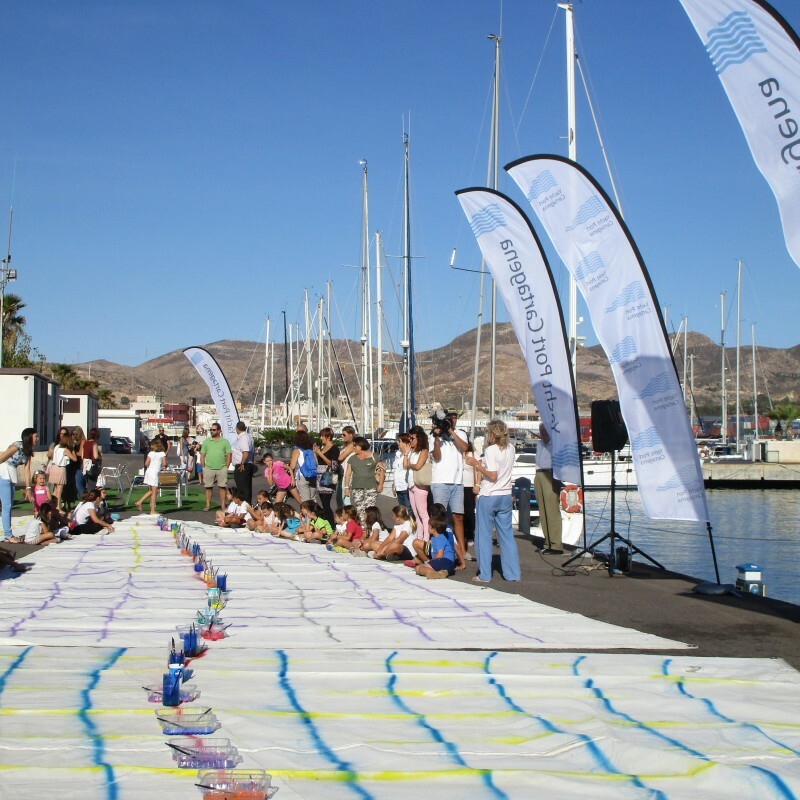 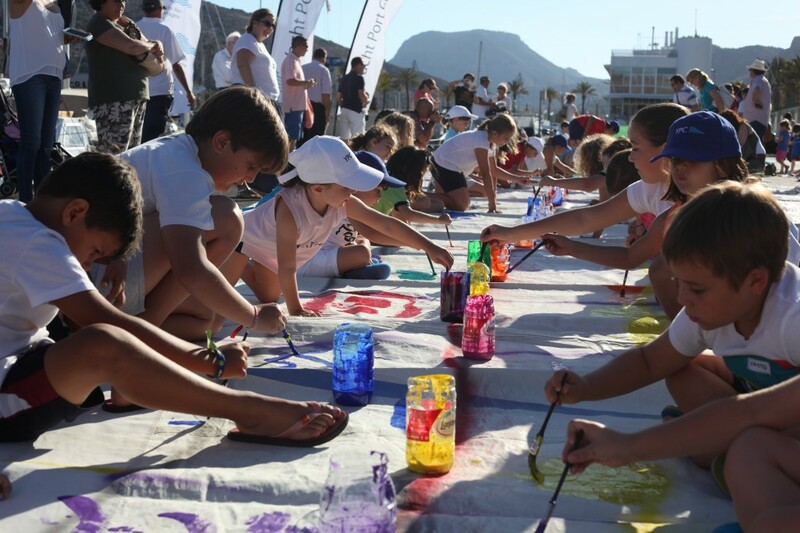 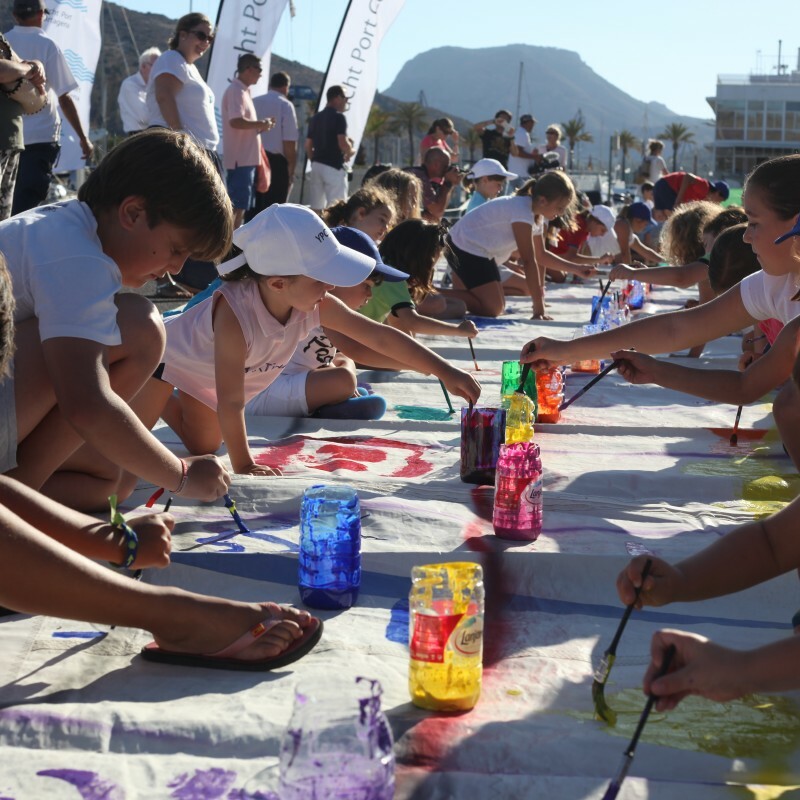 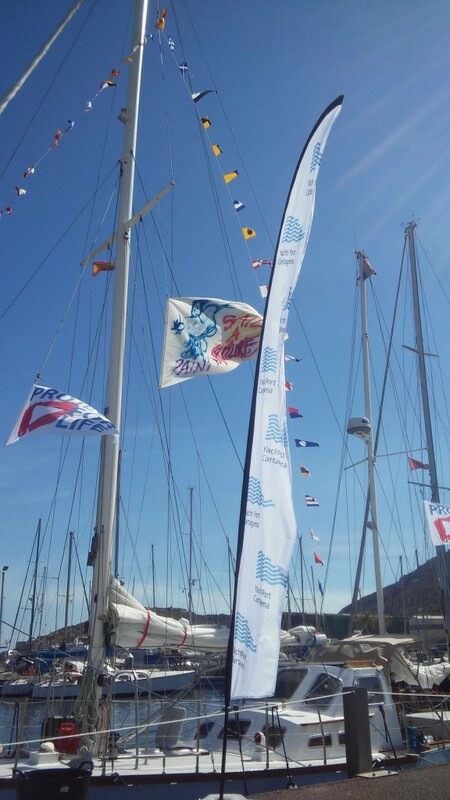 Yacht Port Cartagena (YPC), committed to Corporate Social Responsibility (CSR), respect and environmental awareness, joins this solidary project that links children of Cartagena (Spain) and Cartago (Tunisia) in its different realities. 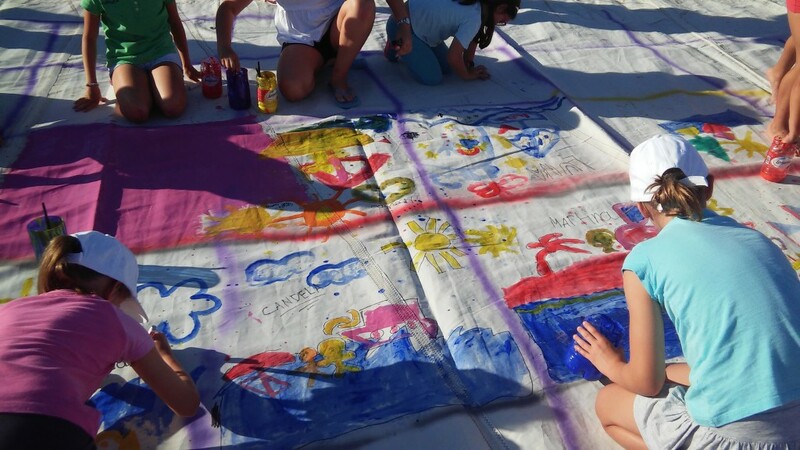 On June 20th, more than 100 children got together in YPC to share those dreams of a better world. 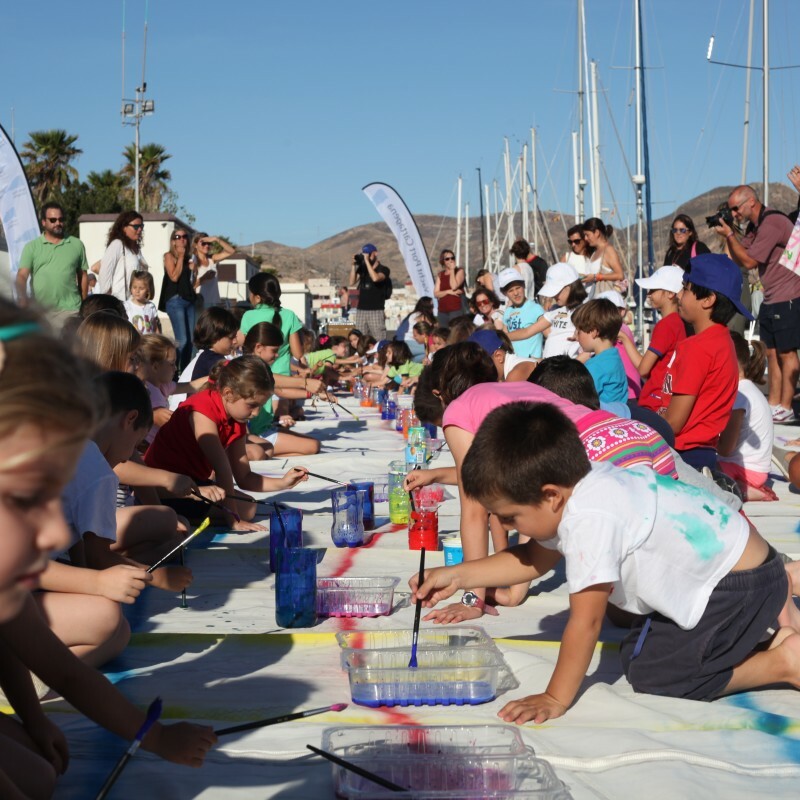 Yacht Port Cartagena wants to thank their collaboration to these young artists and all those who, with their participation, have made this project possible.